Do you play contact sports with lots of physical contact? Do you wake up some mornings feeling a pain in your jaw and neck? If you answered yes to either of these questions, you may benefit from a custom sports guard or bite appliance. Let’s start with sports. A custom sports guard will help protect your teeth while you enjoy your favourite sport and prevent costly damage that can happen if you fall or crash into another player. 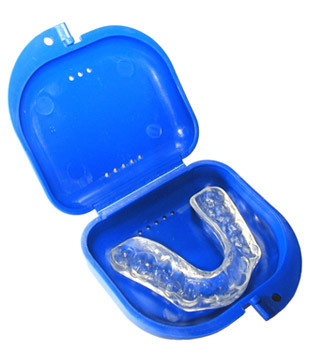 The sports guard won't impede your game at all, and you’ll still be able to communicate with your team. But sports aren’t the only way you can injury your teeth. Grinding your teeth or clenching your jaw while you sleep is called bruxism, and it can cause chipping, jaw pain and headaches. A bite appliance can prevent damage to your teeth as well as ease your pain. If you need more information about sports guards or bite appliances in Markham, please contact us today.